St. Luke’s Church is the oldest church of English foundation in America. The date of foundation has never been verified with any certainty despite much research. The consensus is that the church was founded in 1632. Two things support this date, both of which would be deemed circumstantial in a modern court of law. 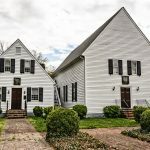 It has been stated many times that Nathaniel Young, the son of Francis Young, a clerk of the county, frequently looked at the parish’s first vestry book where it was recorded that the construction of St. Luke’s began in 1632. The vestry book has since become illegible and crumbing into dust. The second support comes from a brick found during a nineteenth-century restoration engraved with the date 1632. 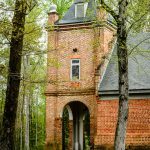 St. Luke’s is located just outside Smithfield in Isle of Wight County in the Hampton Roads region of Virginia. The County was officially formed in 1634 as one of the original eight shires of the Virginia Colony. The shire was originally called Warrosquyoake Shire after a local Indian Tribe. The name was changed to Isle of Wight County in 1637. The church was located in the Lower Parish of the County. The Parish was later known as Newport Parish. The entry of the National Register of Historic Places list the church as Newport Parish Church. St. Luke’s is the more familiar, although unofficial name. 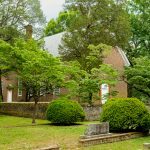 As well as being the oldest church in Virginia, St. Luke’s is also the nation’s only original Gothic church. Unlike the Gothic churches in England. St. Luke’s has a single rectangular nave instead of the separate wings containing the nave, aisles and chancel. There is a twenty foot tower at the west end. The church is constructed in brick with walls two-feet thick. It is said that it took over twenty-five years to complete. The interior appointments of St. Luke’s were not added until completion of the fabric of the building. In 1657, Colonel Joseph Bridger commissioned Charles and Thomas Driver to complete the work. They also added a third story to the original tower. 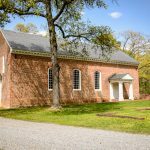 Due to their expense, brick churches were very rare in colonial times. This makes them very easy to identify. 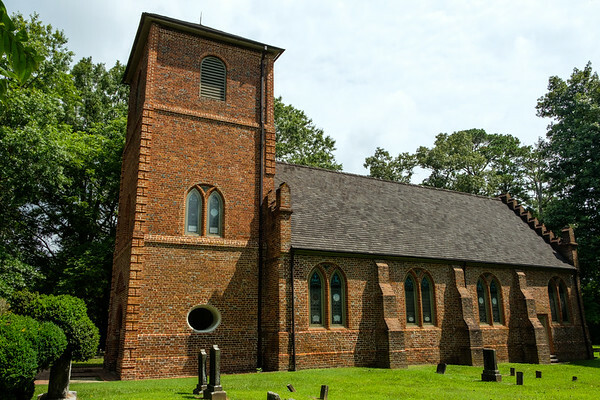 When the brick church at Jamestown was built in 1639 it was simply called “The Brick Church”. This lead to St. Luke’s being known as “The Old Brick Church”, a name still affectionately used today. In fact, the first time the name St. Luke’s can be found was in 1828 when it appeared in a report to the Episcopal Convention from the deacon, William G. H. Jones. However, the new name was never validated by consecration or action of the vestry. The most appropriate name, therefore, remains The Newport Parish Church. 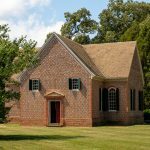 Colonial Churches of Virginia by Don W. and Sue Massey is one of the best resources covering all the colonial churches still in existence in Virginia. It has information on over 50 churches from 1632 to 1791, most of which are still in use for weekly services. 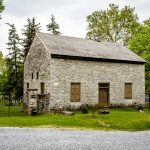 The information in this book is the main source for this post along with the entry in the National Register of Historic Places. 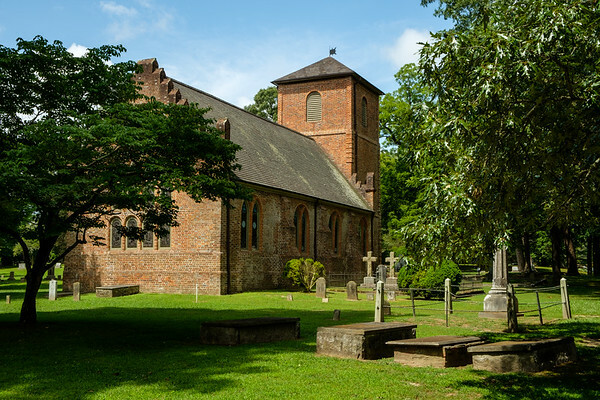 St. Luke's Church, also known as The Old Brick Church, is the oldest church of English foundation in America. It is located just outside Smithfield in Isle of Wight County in the Hampton Roads region of Virginia.